Imagine being an hour's drive away from the spectacular Rocky Mountains. For Calgarians, this is a reality, along with easy access to Banff, Canmore and Jasper. Calgary is also a three-hour drive from the Coutts/Sweetgrass United States border crossing, the third-busiest border crossing in the western states and provinces. Within the city limits, Calgary Transit has been moving Calgarians since 1909 - over 100 years of service. Today's transit fleet is made up of 225 regular buses, 575 low floor buses, 63 articulated buses, 102 community shuttle buses, and 160 light rail vehicles. Calgary's transit service has been responsible for many aspects of Calgary's growth and development. 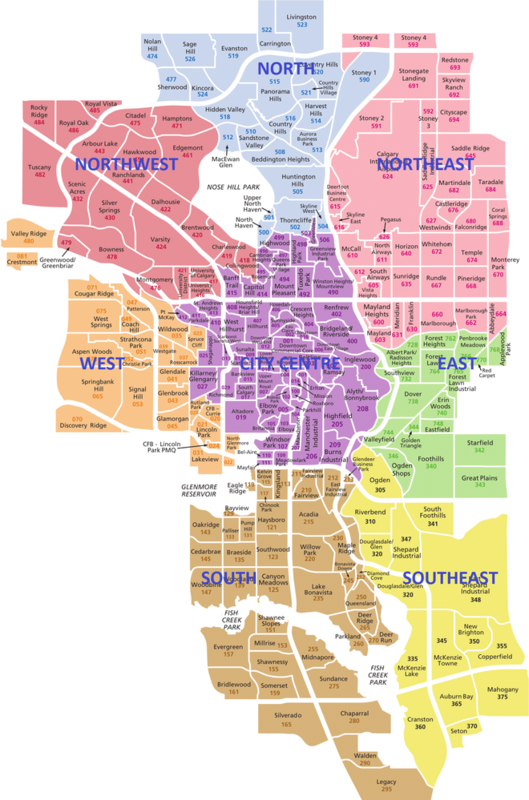 Find the perfect house for sale in Calgary, Alberta. Search all Calgary MLS® listings to find homes for sale, condos, or townhouses or investment property. Calgary has consistently had the highest wages and salaries per employee in Canada for the past 12 years. Calgary also boasts the second highest average annual growth in wages and salaries per employee over the past ten years (2003-2012) at 4.9 per cent, and the second highest total growth in wages and salaries per employee over the past 10 years (2003-2012) at 57.1 per cent. Calgarians enjoy a low tax regime: the province of Alberta has no municipal sales tax, provincial sales tax or provincial general capital tax. The province also boasts the lowest provincial corporate tax rate in Canada. To learn more about Calgary's business tax environment, visit the Cost of Business section. The Calgary area enjoys a mild and ever-changing climate. During the summer months the temperatures can vary dramatically, with temperatures soaring into the 30s and dropping far below that during the night. Calgary has the sunniest winter months with an average of 2,300 hours of sunshine annually. Because of its close proximity to the mountains the region has become famous for its Chinooks; a warm, dry wind, most noticeable in the winter, that causes the temperature to rise above freezing. Calgary is ranked first out of Canada's 100 largest cities by Environment Canada for the sunniest days year-round and in the winter.